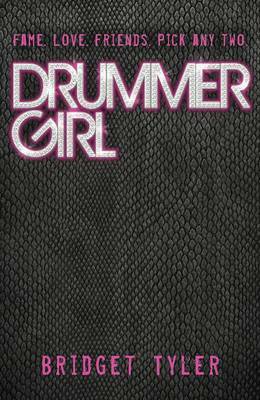 Five girls get together to form a band to enter a major competition. Little do they know, it's not as easy as it seems. Friendship, love, trust, understanding and loyalty. All friends must overcome these to be real rock stars. Do they have what it takes? I received a physical copy of this book from the publisher in exchange for an honest review. I found the storyline quite interesting. I don't often get to read books about bands and music, so it was nice to have a break from paranormal romance YA, etc. I thought it was full of mystery and suspense as the opening chapter leaves you wondering throughout. The story has a great connection with the reality of real life situations like drugs, alcohol and boy issues. It deals with all of these, and that's nice to have some reality involved. There are a lot of characters in this novel, and although there are a lot, I found I wasn't confused. Each character - big or small - had their own personalities, and I could tell them apart from each other. I did find myself more connected to the five girls in the band. Each girl is faced with their own dilemma, and I felt sorry for them. When finding out the truth later in the book, I felt shocked. My heart literally leapt out towards the girl. The cover to this book is simple, and I love the line: Fame. Love. Friends. Pick any two. Meaning you can't have everything. I love how the chapters are formatted; like it's a song list for a tour. Each chapter has it's own song title. I generally enjoyed this story. The only thing I'd like to see would be the actual audition. I thought the beginning was a little rushed as all of a sudden the girl's band was in the middle of the competition, and I always enjoy seeing the audition process. Overall I gave this book four out of five stars because I loved all the characters, the storyline was fab and I'd definitely recommend. This is a book that will leave you feeling full of hope.